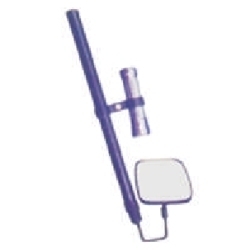 Providing you the best range of under vehicle search mirror, trolley mirror, security mirror, vehicle search mirror and telescopic mirror with effective & timely delivery. 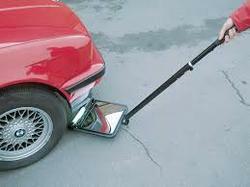 We offer a variety of Under Vehicle Search Mirror to choose from. Being ideally suited for carrying out rapid search as well as for easy viewing of hard-to-see undercarriage vehicle areas, these offer excellent security support at places like malls, hotels, airports and other areas where security concern is of top priority. 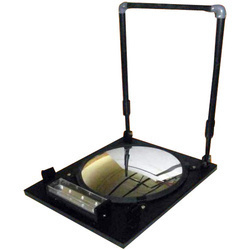 The unique designing of these search mirrors also provide for best viewing advantage. Further, these mirrors can be offered with support of bright LED light assembly which makes viewing all the more convenient. Here, the use of mirror with low-profile convex shape also makes images more realistic. Some advantages of the product include offering enhanced image reflection, offering direct, clear view of image, foam hand grip, telescopic anodized pole and adjustable length choices. Forming an essential part of the search operations, these Security Mirror assist in making through search of the vehicle undercarriage areas to locate hidden explosive devices or suspected objects. With usage suitability for all types of vehicles like cars, buses and others, these come fitted with superior functional convex mirrors with choice of different diameters as per the specific requirements of the customers. 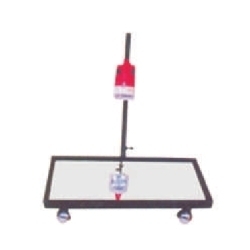 These search mirrors come fixed on flat steel platform featuring caster wheel support for easy movement. Further, the foam padded handle support also makes it easier to handle. Some of the advantages of the product include suited for day & night operations, available with handle bars of different lengths, superior quality roller wheels that provide for free & easy movement, fully powder coated construction finish for long lasting usage among others.